This page is my PowerBlock dumbbells review. Read on to find out if the PowerBlock dumbbells are the right adjustable dumbbells for you. I'll explain the pros and cons of this dumbbell system, so that you can weigh them and judge how well this system meets your needs. ​Although the PowerBlocks come in many different models, they all share core commonalities as an adjustable dumbbell system. And so I will generally lump them together and talk about them as a whole. Though, when applicable, I will point out important differences between specific models. 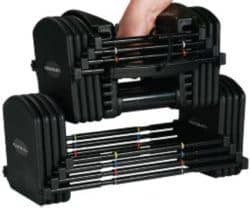 As of 2018, this has replaced the "Urethane Series"
If you would like to learn in-depth about the differences between the various PowerBlock series and models, I urge you to read my full guide on PowerBlock Dumbbells. ​Heaviest Model for Home Use Is Expandable to 125 Pounds! "I'm Sold! Where Can I Buy Them?" "I Need to Do More Research Before Making a Decision." 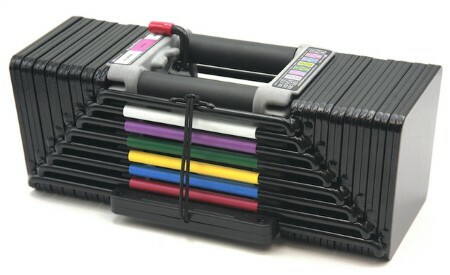 ...The Ironmaster dumbbells, which I also own, are unquestionably the only formidable competitor of the PowerBlocks. As such, it's necessary to point out some major differences between the two systems. 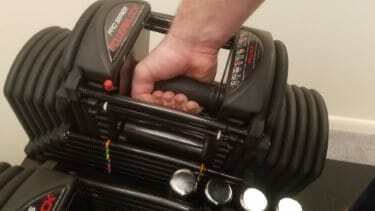 When I originally wrote this article years ago, I hadn't bought any PowerBlock dumbbells. However, more recently I bought my first pair of PowerBlock dumbbells: the Pro EXP Stage 3 Set. So, I now have first hand experience with both of these leading adjustable dumbbell systems. I've updated certain parts of this page to include new insights where relevant regarding their comparison. 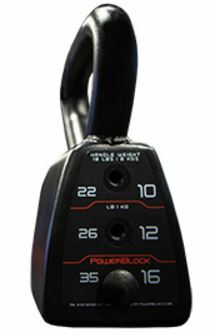 If fast weight adjustment is a top priority for you, then the PowerBlock dumbbells are your best option. It takes no more than 2 to 5 seconds to change the weights of the dumbbells. The PowerBlocks utilize a self-containing storage mechanism, where the dumbbell handle and weights conveniently and compactly "nest" within each other. This reduces the space required to store the dumbbells to that of their own small footprint. Heaviest Models for Home Use Are Expandable to 90 Pounds! There are several PowerBlock dumbbell models to choose from. Different models have different max weight capacities. Sport 24: Adjusts from 3-24 lbs per hand; not expandable beyond that. Pro 32: Adjusts from 4-32 lbs per hand; not expandable beyond that. PowerBlock 50, Sport 50, Pro 50: All three of these sets adjust from 5-50 lbs per hand and are not expandable beyond that. Pro EXP: Expandable to 90 lbs with Stage 3 Set. Classic Elite: Expandable to 90 lbs with Elite 90. PowerBlock EXP: Expandable to 90 lbs with Stage 3 Set. Sport EXP: Expandable to 90 lbs with Stage 3 Set. You'll want one of these sets with a max weight of 90 lbs even if you can't lift such heavy weight yet. Eventually, you will. Note that you don't necessarily have to buy the heaviest version of the model (Stage 3) right away. You can always buy the Stage 1 version (5-50 lbs) or the Stage 2 version (5-70 lbs), then upgrade later by buying an expansion kit. This is a prudent strategy if you have a tight budget for your initial purchase. However, if you buy the Stage 3 Set from the get-go, you will save a little bit of money because it's all in one purchase. NOTE: There used to be the "Urethane Series" of PowerBlock dumbbells, which were discontinued in 2018 and replaced by the Pro Series. 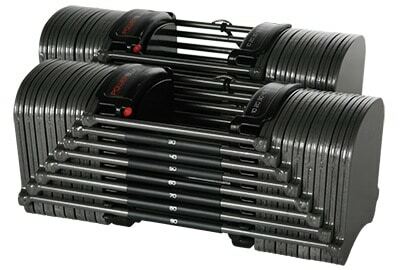 This Urethane Series included the U-90 dumbbells, which went all the way up to 125 lbs with the U-90 Stage 4 Set. Although PowerBlock no longer makes or sells the U-90 sets, they do still carry the U-90 Expansion Kits in case you find a used U-90 set that isn't fully maxed out at Stage 4. It goes all the way up to 90 lbs per dumbbell. 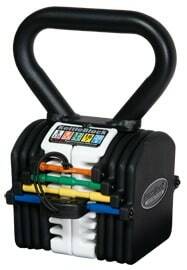 It is the only heavy model that's compatible with three awesome PowerBlock attachments: the EZ curl bar attachment, the Straight Bar attachment and the KettleBlock kettlebell handle attachment -- All are highly useful and affordable attachments that multiply the number of exercises you can do with the dumbbells. I'll discuss these in more detail, later. The Pro EXP weight blocks are coated in urethane. This makes them more durable, resistant to damage, quieter and safer to use. The plates on all other models are steel with no protective coating (other than paint). The Pro EXP does cost more than the other heavier models by about 20%. For what you get, that's a very fair price difference. Well worth it in my opinion. Still, I understand that different people simply have different budgets. Some aren't willing or able to pay a premium. If that's the case, then I'd recommend looking at the PowerBlock EXP Stage 3 or Elite 90. Also, as I touched upon early -- Remember that it can be helpful from a budget standpoint to buy just the Stage 1 set of whichever model you choose (e.g. Pro EXP Stage 1, or PowerBlock EXP Stage 1, or Sport EXP Stage 1, or Elite 50). Then you can purchase the expansion kits once you have more cash to spare. NOTE: PowerBlock does make a dumbbell set that goes even higher. 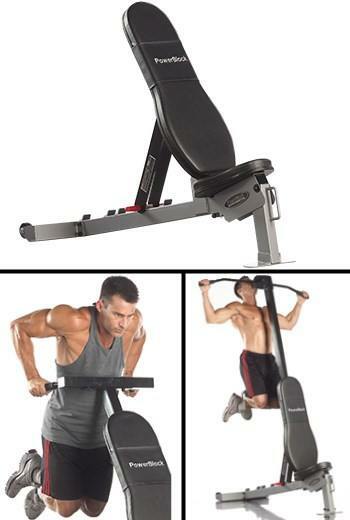 It's the ﻿Pro 175 Commercial Set﻿ and it can go all the way up to 175 lbs. However, ﻿﻿it's ﻿﻿part of their commercial equipment line. ﻿﻿And it ﻿﻿is MUCH more expensive than even the most expensive home-use dumbbell sets. We're talking about a total cost of over $2000 after shipping. It's likely way out of the price range for most people--As such, I chose not to highlight it or make it my top choice (though I'd love to own it!). All PowerBlock dumbbell models are the most compact dumbbells on the market, at least in terms of their length. This includes both adjustable and traditional fixed dumbbells. The compact size is helpful, in particular for using the optimal path of movement for bicep curls (i.e. no maneuvering the dumbbells around your hips). And in general, the smaller size makes the weights easier to control during heavy exercises. These things last people through years and years of consistent use without breaking or needing repair. This is why you'll see used PowerBlocks being sold on Craigslist that are several years old but still in very good condition (with the expected superficial scratches or bumps from use, of course). Some folks have dropped them multiple times without incident and wouldn't worry if it were to happen again. ...However, around late 2018 when the Pro Series was released with its 5 year warranty, I believe they switched all other Series/models to have the same warranty duration. After all, it wouldn't make sense for the Pro Series, which is the best overall and most expensive model, to have the shortest warranty. Of course, if you bought one of the other models before the warranty length change, they would honor the warranty length at time of purchase. I won't get into detail on the terms and conditions of each warranty type. I'll give the basics -- It covers materials and workmanship defects. It doesn't cover obvious things like misuse or abuse, which includes (among other things) damage from dropping the dumbbells from 12 inches or higher (or 6 inches or higher for some models). There are a several accessories available for the PowerBlock dumbbells. My favorites are the PowerBlock EZ Curl Bar and the PowerBlock Straight Bar. They are only compatible with the Pro EXP or Pro 50 dumbbell sets (as well as the now-discontinued U70 & U90). The available of these two accessories were the main reason I went with the Pro EXP over the other heavy PowerBlock models. Now that I've been able to train with them for a while, I can say that I most definitely made the right decision. Here's my EZ-curl bar with the total max weight of 190 lbs! Here's my straight bar with the total max weight of 195 lbs! The KettleBlock handle is compatible with the Pro 50 & Pro EXP (and the now-discontinued U70 & U90) dumbbell sets. Has 2 adder weights for smaller increments. It's important to note that the KettleBlock handle only works with the Pro 50 and Pro EXP sets (as well as the now-discontinued Urethane U70 sets and the U90 sets). This is one of the reasons why the Pro EXP is my top pick for best PowerBlock set. NOTE: The weight guide sticker on the KettleBlock is only accurate if you're using it with the Pro 50. If you use it with the Pro EXP like I do, you'll have to do some quick mental math to make sure you're selecting the desired amount of weight. 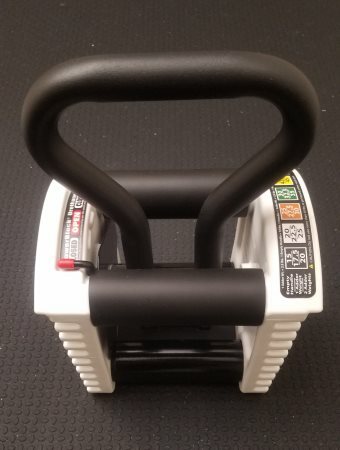 The KettleBlock handle be used comfortably on most exercises up to 55 lbs, but can go all the way up to a 95 lb max capacity (with the Pro EXP Stage 3). However, the heavier it gets, the wider it becomes, making it awkward to handle at very heavy weights. Here's my KettleBlock with the recommended max weight of 55 lbs. Here's my KettleBlock with the absolute max weight that can fit on the handle: 95 lbs. KettleBlock 20: This model has 5 weight adjustment increments including 5, 8, 12, 16 and 20 lbs. KettleBlock 40: This model has 8 weight adjustment increments including 8, 12, 16, 20, 25, 30, 35 and 40 lbs. PowerBlock Adjustable Kettelbell: This is their newest kettlebell product, which sports a sleeker design compared to the KettleBlock 20 and 40. It has 4 weight adjustment increments including 18, 22, 26 and 35 lbs. Other PowerBlock accessories include the array of dumbbell ﻿﻿stands for the various PowerBlock dumbbell models. There are several types of PowerBlock ﻿d﻿umbbell stands that are designed for different dumbbell set sizes. The ones shown in this image are for some of the larger dumbbell sets. Also, in case you're wondering--the four holes on top of each are for storing the cylindrical adder weights that come with some of the dumbbell sets. Both the PowerBlock dumbbells and the Ironmaster dumbbells are NOT cheap products. They both cost several hundred dollars. 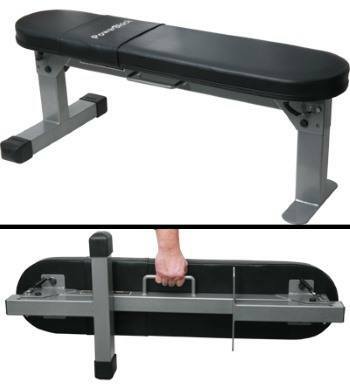 ...It's hard to compare compare their prices directly, though, since the most popular configuration of the Ironmaster is usually the combo package of the 75 lb pair plus the dumbbell stand. 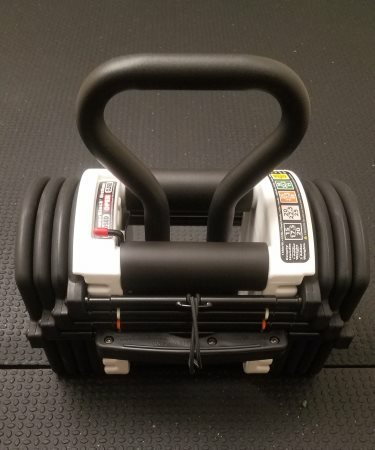 If you want more than 75 lbs, you can get the 120 lb add-on, but that will make the price (and max weight) higher than that of the PowerBlocks. Whereas, stands for the PowerBlocks are never included with the dumbbells; not to mention, having a stand for the PowerBlocks is much less less necessary than for the Ironmasters. Plus, most people reading this page will probably opt for the 90 lbs PowerBlocks. That all being said -- let's simplify things and just compare the prices of the 75 lb Ironmasters + dumbbell stand, and the 90 lb PowerBlock sets. Currently the Ironmasters are $649 with free US shipping. Depending on the PowerBlock model you get, a set of PowerBlock dumbbells will be somewhere between $737 + $99 S&H (current price for the Pro EXP Stage 3) on the high end and $577 + $99 (current price for the PowerBlock EXP Stage 3) on the low end. In other words, the PowerBlocks cost between 4% to 29% more, in this specific comparison. Again, this is not a direct comparison for the reasons explained above, but it gives you a general idea of the price differences. And it shows that both options will cost you several hundred dollars -- not cheap for sure, but definitely an investment that will pay off if you're serious about training. PowerBlock, Inc. makes several product series and models. The upside of this is that you have a much bigger variety of options from which to choose, compared to the Ironmasters. Unlike the Ironmaster adjustable dumbbell system, the PowerBlocks don't come standard with a dumbbell stand. Of course, this is good in that you pay less than you otherwise would. Having a stand for the PowerBlocks is less necessary than for the Ironmasters, since you need the Ironmaster stand to store all the weight plates. However, having a stand for your PowerBlocks is still very desirable. You'll definitely want one; if not right away, then eventually. Luckily, you can snag the Large PowerBlock Compact Weight Stand for a relatively low price (currently $69 + $11 S&H). The added convenience is worth the modest price tag. They're constructed with pillars in at least two of corner, which surround the handle and give the dumbbell a cubic shape. They use weight "brackets" as opposed to traditional plates. 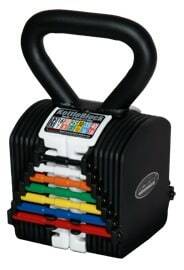 The dumbbells have all the colors of the rainbow showing brightly on the sides of the weight block to indicate the weight. UPDATE: This is only true of the older models that are still in production (e.g. the Elite 50/70/90 and the Sport 24). Newer models are less flashy in this sense. For example, the Pro EXP only uses small rings of different colors to indicate the weight of the blocks; the Sports EXP and the PowerBlock EXP use just black and red respectively for the weight indicator colors. Obviously, all of these things serve specific and necessary purposes. All else being equal, I do prefer the more natural look of the Ironmasters. But this is just one factor consider, and a relatively unimportant one. It is not at all a make-or-break issue for me. That said, there are some folks who say the PowerBlock's design is too "weird" for their tastes. Some people claim that the peculiar dumbbell design gives them a somewhat unnatural "feel" compared to traditional dumbbells. Part of the unnatural feel comes from the dumbbells not being perfectly balanced, which is to be expected from any selectorized adjustable dumbbell system. 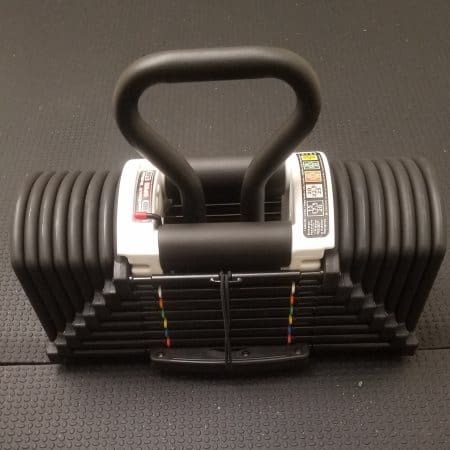 And as far as the selectorized dumbbells go, the PowerBlocks are very well balanced especially compared to the likes of the Bowflex-style adjustable dumbbells. There is also a very slight shift you'll feel when rotating the dumbbells during a movement (e.g. 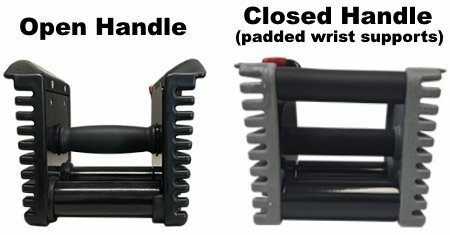 on biceps curls; the handle goes from facing up at the bottom of the motion, to facing the floor at the bottom of motion). There is the result of there being a tiny amount of play between the blocks and the handle. Again, this is to be expected in any selectorized system with many components. While noticeable, it doesn't affect technique or performance. Also, there are some ease-of-use issues on the PowerBlock models with the older "closed handle" design -- At this point, this only applies to the the Elite 50/70/90 set. Basically, it has a pillar on all four corners of the handle, surrounding the grip area. This crowded design can potentially interfere with your hand position and wrist movement if you have bigger forearms/wrists and hands. Also, having the four the pillars surrounding the handle grip prevents you from using the traditional grip for dumbbell triceps extensions (though you can work around this by gripping any two adjacent pillars). Lastly, the pillars prevent you from using the traditional grip for dumbbell triceps extensions (though you can work around this by gripping any two adjacent pillars). The PowerBlocks are far from what one might consider fragile or dainty. As I explained in an earlier point, one of the pros of this dumbbell system is its durability and solid build quality. However, as I also mentioned in that point, you should treat the dumbbells more carefully than you'd treat the Ironmaster dumbbells or traditional fixed dumbbells. If my super-awesome PowerBlock dumbbells review convinced you that you want a set of PowerBlock, then go ahead and buy them on PowerBlock.com (there are a few models available on Amazon, too). ...If so, then I'll direct you to my PowerBlock dumbbell comparison page. 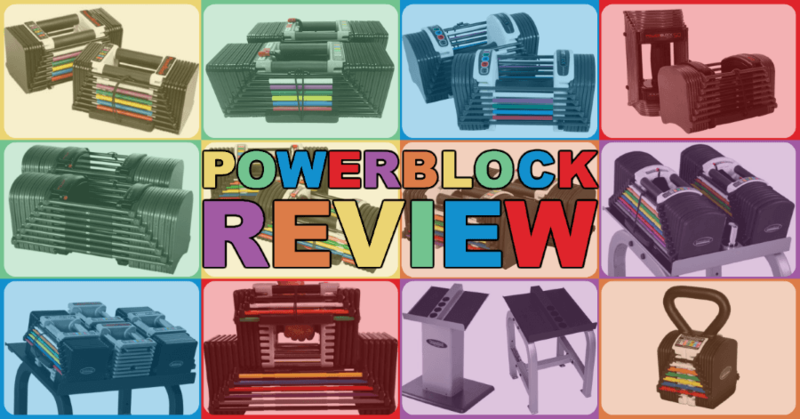 It contains a detailed comparison chart of all the PowerBlock models (current and discontinued models), an explanation of the logic behind my top four choices and several video reviews from PowerBlock owners. very helpful review. thank you for the honest and detailed input. it will help me make a better decision. You’re very welcome, Majid. I hope you were able decide which (if any) of the PowerBlock dumbbell sets is right for you. …That workaround is using a parcel forwarding service. In case you’re not familiar with that, it’s what a lot of international shoppers use to get around shipping restrictions like this. So basically, you’d have it sent to a parcel forwarding service with a US address, and that service would use their logistics, to ship it to you in Singapore. There’s a site called Parcl that you can use to find one. Here’s the link to all the US-to-Singapore forwarding services. This option should work just fine, as long as you choose a reputable service. Hope one of those options works for you! You have been really helpful man. Really appreciate it. You were so detailed and patient. Don’t come by people like this often these days. Thanks again buddy! Thanks! Not a problem–I’m always happy to help if I can find the time to do so. Thanks Steve! I’m happy to hear you liked it.